VIRGINIA BEACH — Pat Robertson’s television ministry continues to ride a wave of ever-mounting contributions, which have almost doubled in less than a decade. Donors gave $160 million to Robertson’s Christian Broadcasting Network, according to tax statements for the year ending in March 2005, an increase of 21 percent from the previous year. Contributions to CBN have increased steadily since 1997, when it received $84 million, filings with the Internal Revenue Service show. Donations from viewers and supporters account for most of the network’s overall revenue of $236 million. Pat Robertson Estimated to be Worth $150-200 million! Pat Robertson Supported by Coors Beer! Pat Robertson Mum on Liquor Curse Because of Lush Contribution from Coors Brewing Company! Many will be shocked and saddened by the published statement of Pat Robertson that among his biggest contributors are Joseph and Holly Coors, beer brewing tycoons. 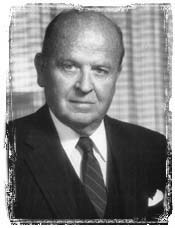 When asked at the Religious Newswriters Association (after addressing them, in Atlanta), what he thought about the morality of the sale or consumption of alcoholic beverages, Robertson replied, "I cannot afford to say anything about that." Then, the Christian television executive gave the reason why: "Joseph and Holly Coors of the Golden (Colorado) family, are among my strongest supporters. 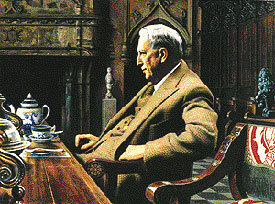 They are very beautiful people and very dear friends – so I cannot afford to say anything about that." It is a dark day in America when the Dollar Sign neutralizes and destroys the influence of Christian leaders. It is no wonder that the damnable liquor traffic is so firmly entrenched in our country. And what a tragic day that will be when some of these leaders stand before God! (Source of information in this report: The National Statesman Magazine). We read in James 5:15 that "the prayer of faith shall save the sick"; BUT, we also read the Apostle Paul's words in 2nd Timothy 4:20, "...but Trophimus have I left at Miletum sick." Clearly, whatever "gift" of healing Paul had back in Acts 28:3-6 when he was bitten by a deadly snake was GONE. Paul couldn't heal his friend Trophimus. Also, Paul couldn't heal his co-laborer in the Lord, Timothy, as Paul mentions Timothy's "often infirmities" (1st Timothy 5:23). God does NOT guarantee healing just because we pray; BUT, God does tell us to pray for the sick, and then trust His wisdom, goodness, and judgment. Our responsibility is to pray and wait upon the Lord. It is sinful and unbiblical for ANYONE to claim a "right" to be healed, or to teach others that God always heals the sick. As we clearly see in the Bible, God doesn't always heal the sick. The Bible states in Isaiah 53:5, "But he was wounded for our transgressions, he was bruised for our iniquities: the chastisement of our peace was upon him; and with his stripes we are healed." Some foolish people twist this Scripture around to claim that Jesus died to pay for our physical healing too, and that physical healing as guaranteed by Jesus' blood. However, this interpretation is clearly erroneous in lieu of the Bible verses I've just shared with you. Just because we are Christians does not guarantee us health, wealth, or prosperity in this sinful world. Romans 6:23 proclaims "For the wages of sin is death..." The physical death is inevitable, because our sins bring death. However, we do not have to die the second death in the Lake of Fire because Christ offers us the free gift of eternal life through faith in Him alone. No amount of prayer guarantees physical or mental healing. The only guarantee we have is concerning Heaven, "For whosoever shall call upon the name of the Lord shall be saved" -Romans 10:13. 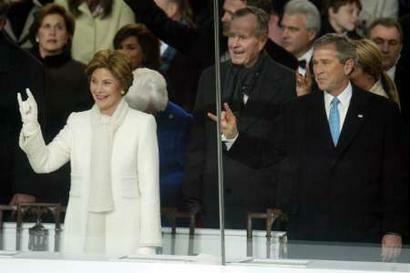 Headlines were made last year during Bush's inauguration when the President and his family repeatedly flashed the sign. US media brushed aside the matter, saying it was in the context of supporting UT Longhorns. 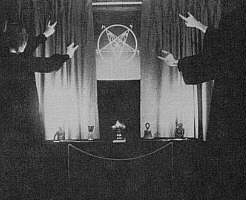 However, Europeans were shocked and interpreted the gesture as a salute to Satan. Here is a still of Robertson flashing the signal. 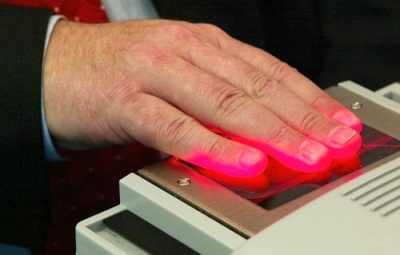 Click here for a video montage of the show, which includes Roberts' comments on biometric finger scanning to enter schools and the big brother society, an issue we will explore later. In April 2001 Robertson supported China's brutal policy of forced abortion and said that the Communist country was "doing what they have to do" in keeping population numbers down. It is not Christian to advocate even voluntary abortion on the part of the mother, never mind such a tyrannical model of forced abortion as part of a wider eugenics agenda. 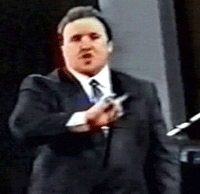 Earlier this year Robertson caused waves when he advocated the assassination of Venezuelan populist president Hugo Chavez. In doing so Robertson is nailing his colors to the wall as a firm minion of the New World Order. Chavez has rallied against the Globalists at every turn, including his recent spat with Vincente Fox and his rejection of the FTAA. Returning to the El Diablo hand gesture, should it worry us that other Christian preachers have also been photographed flashing the sign? Texe Marrs has been instrumental in bringing this to light and some examples from his book Codex Magica can be seen below. 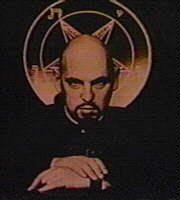 The gesture was embraced by Satanic cults and the Church of Satan's leader Anton LaVey as seen below. A collage of other examples of politicians and media personalities flashing the symbol can be found on this page. Even if you don't believe in good and evil or God and Satan, the elitists do. Bohemian Grove and Skull and Bones are proof that the elite think that engaging in occult practices enhances their power. We did not set out to connect the occult with the Globalists' overall agenda, it just seems that they converge every time we look at it. Robertson misrepresents the very ethic of what it means to be a Christian. This only succeeds in demonizing Christianity as a whole and turning people away from faith. We are deeply concerned about the whole gannet of Robertson's actions and will continue to expose him for the fake Pharisee Christian, George Bush New World Order worshipping, arrogant hypocrite that he is. 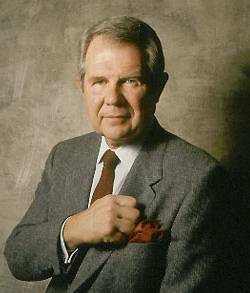 In 1996, Time magazine, an Illuminist-puppet publication, arranged for Televangelist Pat Robertson to signal to insiders everywhere his fierce Masonic allegiance and loyalty. 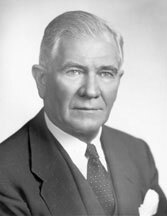 Pat Robertson’s father, Senator Absalom Willis Robertson, a Democrat, was a fabulously wealthy Illuminist insider. 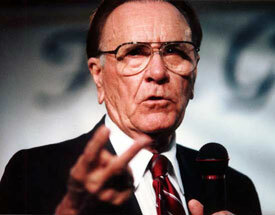 The elder Robertson was Chairman of the U. S. Senate’s powerful Committee on Banking and Currency and later served as a "consultant" to the World Bank. 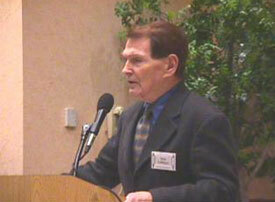 Evangelist/Zionist Author Tim LaHaye has been given large sums of money by occultist Reverend Sun Myung Moon. 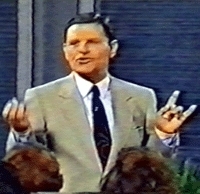 LaHaye has been a featured speaker at Moon’s conferences. LaHaye is a racist hater of Arabs and a fanatical supporter of Israeli Zionist aggression. He supports the unscriptural heresy of Jewish racial supremacy. The late J. Peter Grace, head of the North American division of the secretive Catholic Order, the Knights of Malta, was the early mentor of evangelist Pat Robertson. Robertson was sent down to Brazil by the elite to get some seasoning and later was trained for his "role" as a TV evangelist at an Illuminati-sponsored church in New York City. 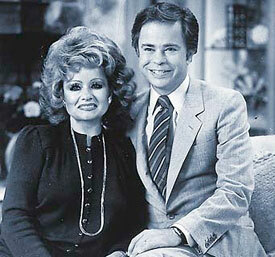 Jim and Tammy Faye Bakker—When their "PTL" broadcasting empire fell, it turned out that a Jewish Orthodox billionaire in Canada secretly owned all the PTL assets and property. In prison, convict Jim Bakker, ordained by the Assembly of God denomination, reportedly went to a Catholic priest to confess his sins. The Illuminati elite saw to it that favored "pretty boy," Ralph Reed, was appointed by Pat Robertson to be head of the Christian Coalition. More recently, Reed was given millions by Republicans as a Washington, D.C. political consultant. 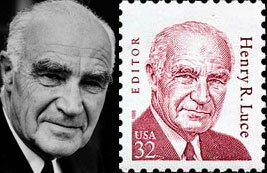 In 2004, Reed attended the annual conclave of the prestigious Bilderbergers in Stresa, Italy. 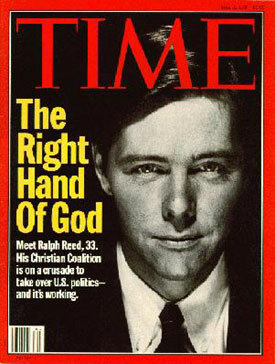 Time magazine, on its cover, May 15, 1995, anointed Reed with the telling title, "The Right Hand of God." 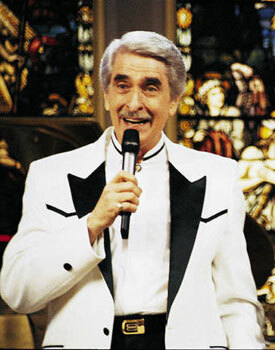 Paul Crouch, TBN founder, was outed by the Los Angeles Times as a homosexual. 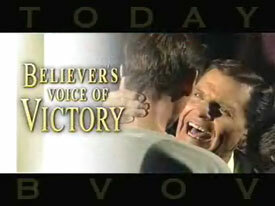 Charismatic "name it and claim it" man Kenneth Copeland, reputed to be a high-level Mason, is shown here in an ad from his magazine. 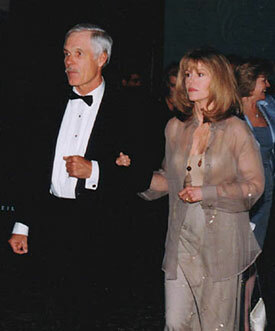 CNN founder Ted Turner, shown here with actress Jane Fonda, reportedly helped Pat Robertson with setting up his CBN TV empire. Later, Turner publicly labeled Christians "losers and Bozos." 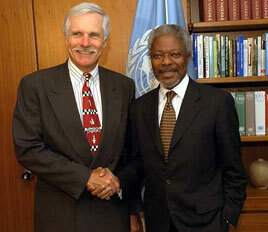 Ted Turner and UN Secretary-General Kofi Annan. 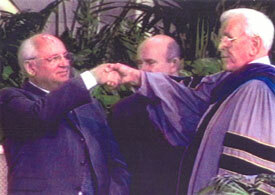 The Crystal Cathedral’s Reverend Robert Schuller, 33rd degree Mason, shares a clearly Masonic handshake with former Soviet Communist Party boss, Mikhail Gorbachev. Gorbachev, an initiate of the Grand Orient Lodge, Paris, France, spoke at Schuller’s church. 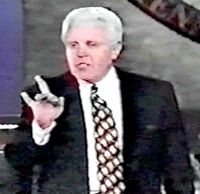 Oral Roberts, heretical charismatic faith healer, is a 33rd degree Mason, and a lodge brother of his close friend, Billy Graham. 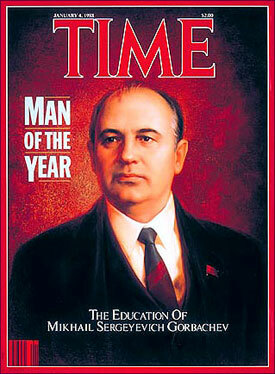 Masonic bigwig Mikhail Gorbachev, who endorses a United Nations of Religions organization, was Time’s "Man of the Year." 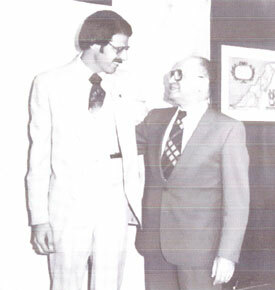 Gorby was given tens of thousands of dollars to speak at Oral Roberts University, a school run by his esteemed lodge brother (33rd degree) Oral Roberts. 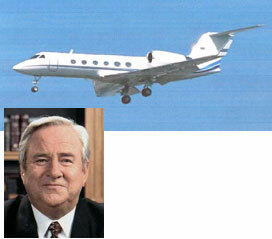 Jerry Falwell has taken money from Reverend Moon and also was given a "gift" of a multimillion-dollar executive jet aircraft by the Zionist government of Israel. Falwell is one of America’s chief propagandists for Israel and for Zionist imperial ambitions. He is a racist who hates Arabs while promoting Jewish racial supremacy. 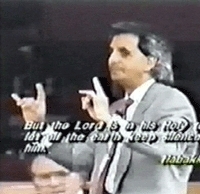 After faith healer Benny Hinn was exposed as a fraud by various TV news programs, the Reverend Jerry Falwell came to his rescue. He invited Hinn to Falwell’s Liberty University where Falwell told people he endorsed Hinn. Both Hinn and Falwell are radical pro-Israel supporters. Israel’s Prime Minister rewarded Falwell with a spanking, new executive jet aircraft, paid for with U.S. taxpayer dollars—foreign aid given to Israel by Washington, D.C.! 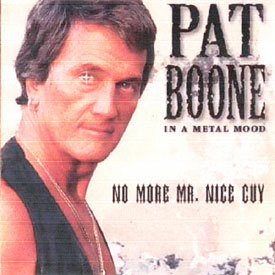 Christian celebrity Pat Boone, whose heavy metal rock album "No More Mr. Nice Guy" is shown here, was on hand at a 2001 Reverend Moon "interfaith prayer" event. 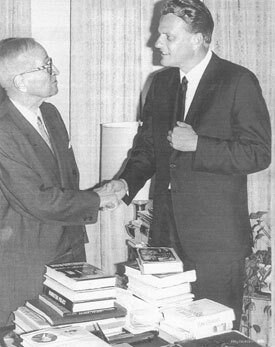 Billy Graham shared a secret Masonic handshake with fellow 33rd degree Mason, former President Harry Truman. 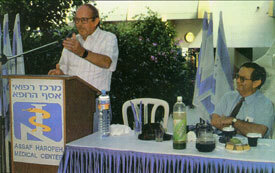 Assembly of God leader Mike Evans, shown with Israel Prime Minister Menachem Begin. Evans was later forced to flee the nation of Cambodia after mobs threw rocks and tried to kill him at one of his crusades. The Cambodians were invited to see "miracles" of healing, but when they found out Evans was a faker and a hoax, they were outraged. Super-rich elitist William Randolph Hearst, Catholic Knights of Malta high-up, told his national newspaper chain to "puff" Billy Graham and make him a household name. 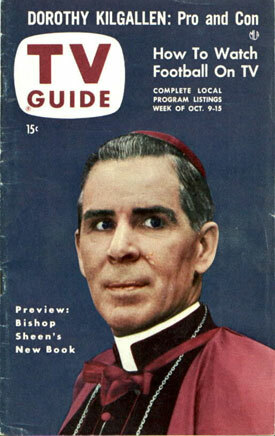 The late Catholic Bishop Fulton J. Sheen was a popular personality on TV in the 50s. A covert member of the Masonic Lodge, his lodge brother, Reverend Robert Schuller, honored Sheen by erecting a statue of him. The statue stands now at Schuller’s Crystal Cathedral Church in California. Pat Robertson is of the Devil ... Praises Pope John Paul II! CBN.com – VIRGINIA BEACH, Va., April 02, 2005 -- I am deeply grieved as a great man passes from this world to his much deserved eternal reward. John Paul II has been the most beloved religious leader of our age – far surpassing in popular admiration the leader of any faith. According to Pat Robertson, the Pope is a man of "deep spirituality." You've got to be kidding Mr. Robertson. And you call yourself a "Christian"? The Pope is the leader of the biggest false religion in the world, Catholicism! 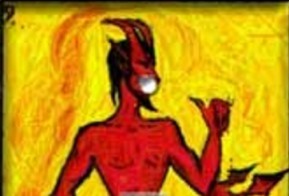 For Robertson to speak such gleaming words of praise towards such a Satanic imposter as the Pope, reveals that Robertson is in league with the Devil himself. No born again Christian who loves the Lord would ever praise the Pope, who is leading one billion people straight into Hell. 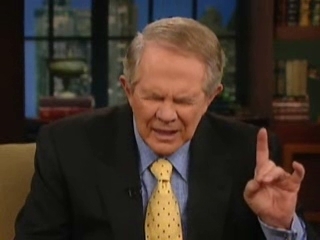 Pat Robertson praises the Pope because he'd be off TV very fast if he criticized the Pope. Satan uses man's love of money to control the world. Pat Robertson has sold out to Satan! Clearly, Pat Robertson is not what he appears to be. 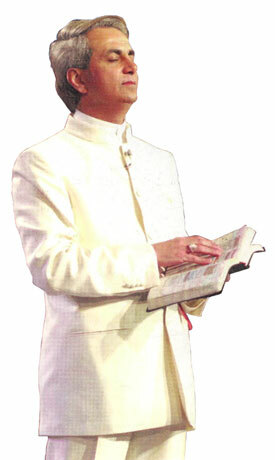 So many false prophets are hiding behind the Gospel nowadays. I looked over www.cbn.com and couldn't find a Gospel presentation anywhere. Although they give a basic Gospel presentation on their show, they fail to explain what it really means Biblically. Every unsaved Catholic believes the good news (Gospel) that Jesus died, was buried, and rose again three days later. Obviously a person is not saved just because they claim to believe the Gospel. If this were true, then EVERY Catholic, Jehovah's Witness, Christian Scientist, Mormon, and Seventh-Day Adventist is saved. The truth is that none of them are saved. The truth is that the Biblical Gospel EXCLUDES all self-righteousness, works, forsaking of sins, commitments, sacraments, church membership, making Jesus your Lord, walking down a church isle, giving your all to Christ, living for God, baptism, etc, etc, etc. The only way to be saved is by faith ALONE in Jesus Christ. We do good works BECAUSE we are already saved, not to get saved (Romans 3:20; 4:3-5). 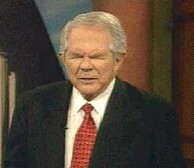 Pat Robertson and his The 700 Club are bad news. They are exploiting the Gospel, Christianity, the poor, the ignorant, and suffering people, to get rich ... filthy rich. You'll NEVER hear anyone on the show state that GOOD WORKS are a road to Hell if you rely upon them to save you; BUT, that is the Gospel truth! Oh sure, they'll say that you can't merit Heaven; but they won't condemn Baptismal Regeneration or Lordship Salvation. It's time for God's children to speak aloud against the damnable heresies of our day. It may not be politically correct nowadays to outright criticize false prophets and heretics; BUT, it is Biblical, and pleasing to God (Psalm 94:16; Ephesians 5:11). Pat Robertson “Pleased” with Immoral, Anti-American, Communist U.S. President! The 700 Club Refuses to Meet 4 BBB Requirements!